The problems engendered by the conflicting imperatives of development and ecology show no sign of ending, and every day more locations are added to the list of landscapes poisoned by human activity. This vital book, featuring an international set of authors, is a key reference for researchers and environmental managers, as well as anyone involved in the mining industry or landscape remediation. 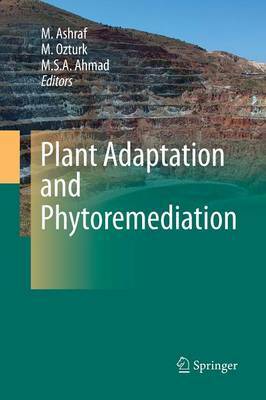 The comprehensive coverage of current approaches to phytoremediation begins by examining the problem. It looks at natural and human-induced toxins, and their effects on natural vegetation as well as agricultural crops. Particular attention is paid to the two largest challenges to remediation - heavy metals, and the salt stress that is impeding agricultural productivity worldwide. The text moves on to focus on the efficacy of different plant species in removing toxic pollutants from the environment. Along with analysis of a number of case studies, this section includes new and updated information on the mechanism of toxin-tolerance in plants.